MASTER YOUR MIND AND BODY. Would you love to take time for yourself? Discover ways to improve your physical and mental health? Be in touch with your true nature? Do you have a need for inspiration? Or to discover efficient tools to support you in your daily life and on your path? We offer you the opportunity to learn different techniques to master your mind and body. 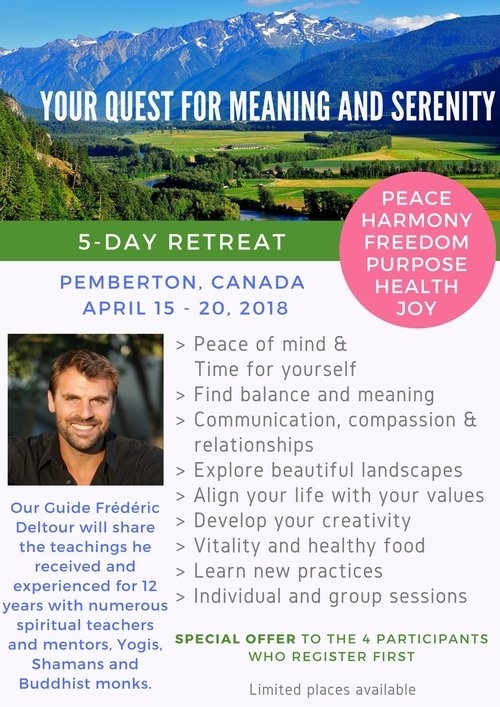 Join us for Your Quest For Meaning and Serenity. 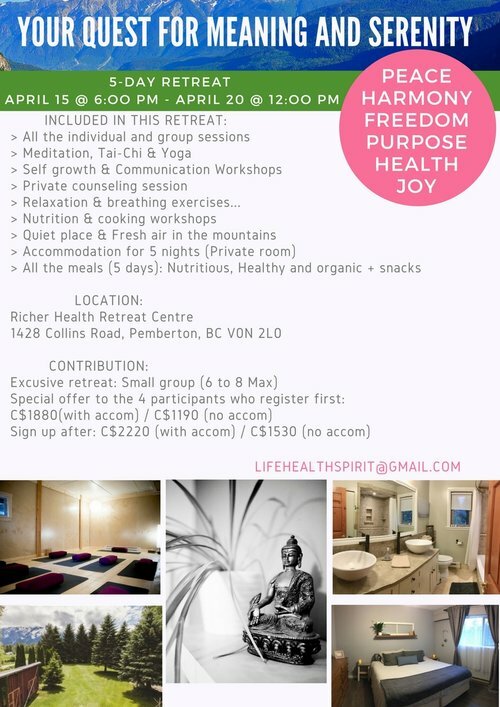 This retreat focuses on well being, strong health and a peaceful mind. We have everything prepared for you to enjoy a peaceful and fulfilling retreat for your mind, body and spirit. You will be taken care of. This is our pleasure and our mission. Set under the stunning and dramatic steeps of Mount Currie, Pemberton, our beautiful Retreat Centre is breathtaking, tranquil and reviving. Enjoy private, light and airy rooms and spacious communal areas for yoga, workshops, relaxing and classes. Contact Frédéric and Ashton on Facebook or Email.